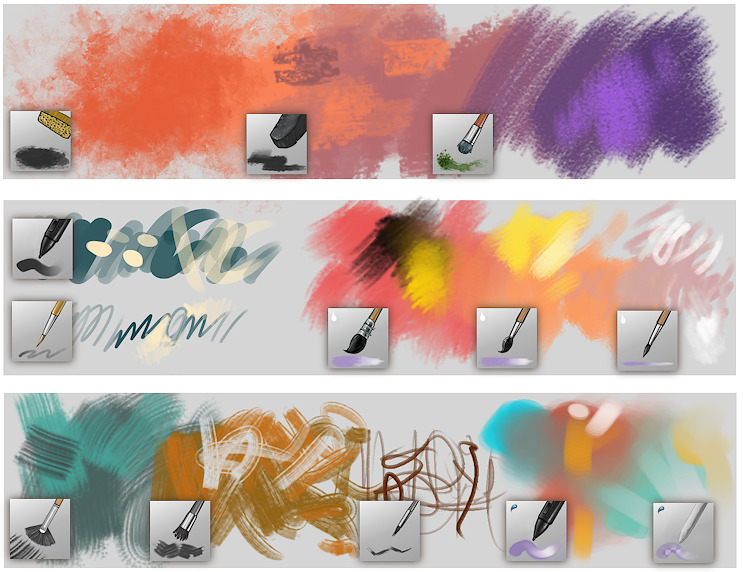 Here is my 4th brushkit for Krita. A little 5x5 grid of my best tools. As I keep painting daily, I also keep tweaking my brush-set on the fly, day after day. 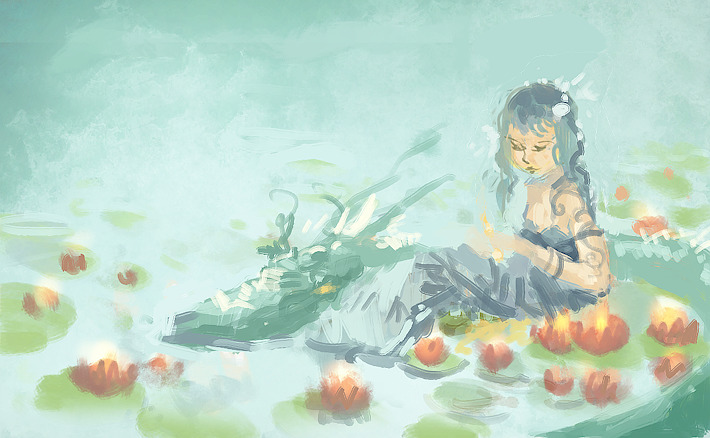 I saw I was more productive with less brush, so I reduced the amount of them. This brushkit is a personnal one, suited to my technics, and style. It's not a generalist brush kit. Have a fun time painting with them ! License : CC-0 /public domain. mentioned at the end of the article, 2 may 2014 . Merci, je vais faire le test. À propos, sympa le speedpaint de démo. J'aime beaucoup la subtilité des couleurs. Hey, je viens de découvrir ton blog et ton travail absolument magnifque que ma conseillé un ami à propos de pluxml et je découvre Krita + tes brushes. Bon beh Double merci alors. @Tepee ,@flem , @eric belet : Merci pour le retour , c'est sympa. Thanks a lot! So far I've only used the standard brushes, it's great how much of a difference these make. @Joeri Schouten : Thanks ! Ummm, just discovered this program and saw the link to your brushes. 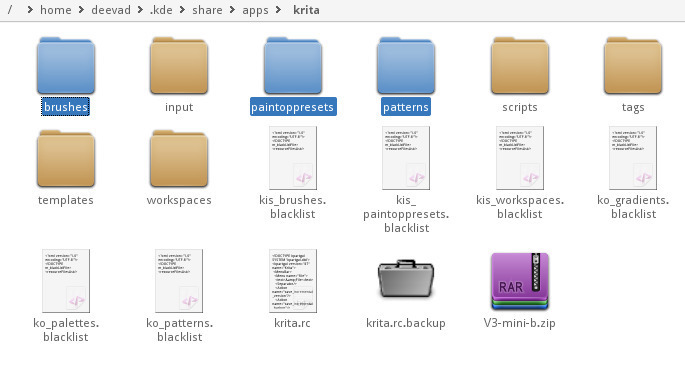 Quick question, there is already a patterns folder inside the krita resource folder, do I write OVER it? Copy the stuff in your patterns folder into it's pattern's folder, and if I do is it okay to rename the ones you have that are the same as the default one? @Ronald Stepp : Hi, yes you can merge the folder of pattern I provide with your ; no risk :-) But don't rename ressources; you'll pobably have some broken dependencies in your brush preset if Krita can't find the proper filename. About Patterns ; Krita usually also save them embeded in the *.kpp and extract them on the fly ; so it shouldn't be a big problem in any case. Hi! Are there any reason to install all the different versions or are they just updates and I should go for the last one? Yes you should go only to the last one. I keep previous version around for system with old version of Krita ( they can't really install newer version ). 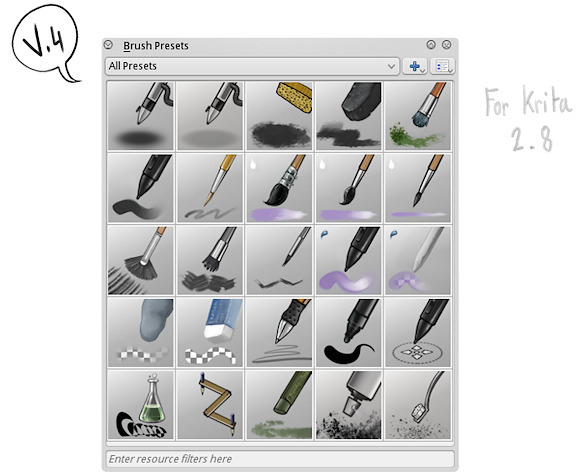 I'll publish an update soon ; when Krita 2.9.8 will be released because they fix something interesting about brush and ressources management.